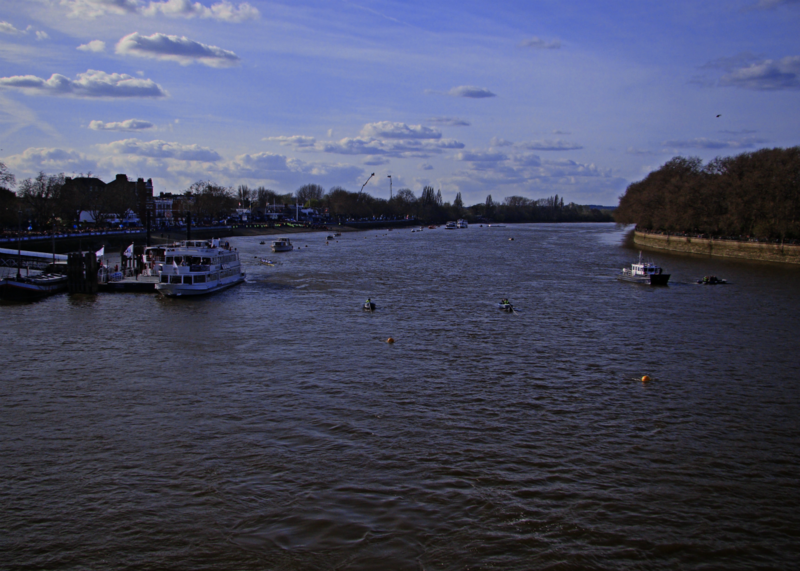 The past Saturday (11 April 2015) was a lovely sunny day albeit very breezy, with blobs of white cloud in the blue sky hurriedly moved from west to east by the wind, and the swirling Thames was noticeably choppy. It was an important and historic day too: for the first time, women’s boats from Oxford and Cambridge raced on the same course and on the same day as the men’s boats. It has taken too long, but at least now that has been redressed. It was a thoroughly good day for those on the dark side of the blue (as I am): Oxford won all three races – women’s, men’s reserves, and men’s – with comfortable margins. I took a local bus to Putney, just before 4 o’clock in the afternoon, arriving about quarter past the hour. 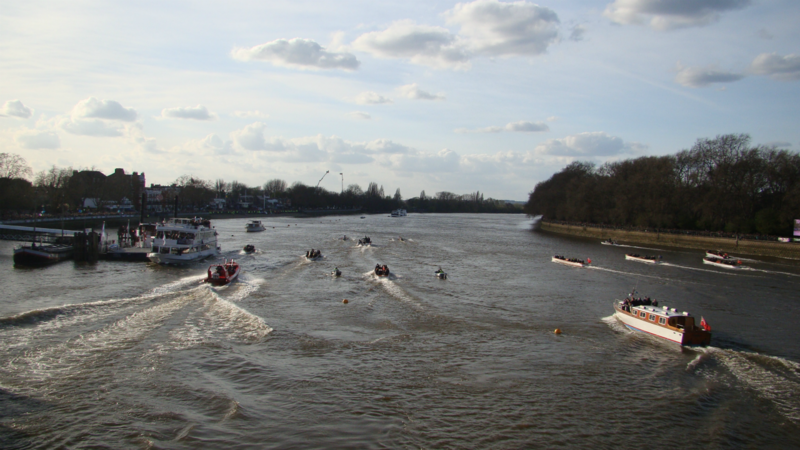 There was a stream of people leaving Putney train station and heading towards the river. 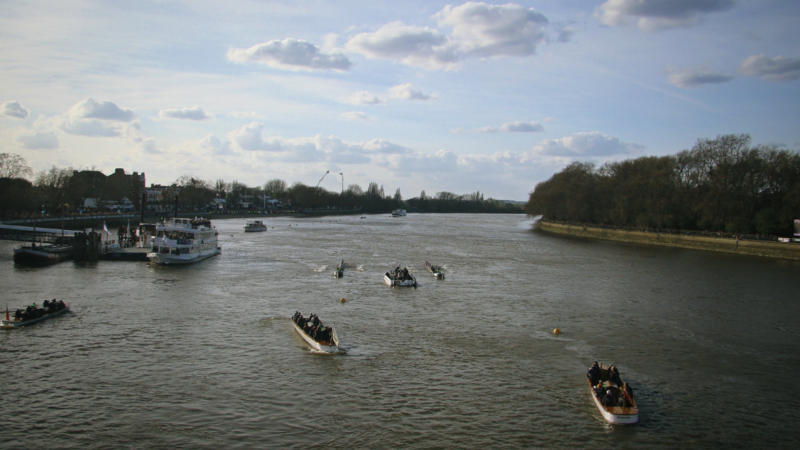 In the past, I went to Bishop’s Park on the northern – or Middlesex – side of the river, but this year, I found a spot on Putney Bridge. Perhaps the stiff breeze had induced others to search for less exposed areas. On both sides, there were throngs of people lining up the banks, and helicopters were circling in the air. 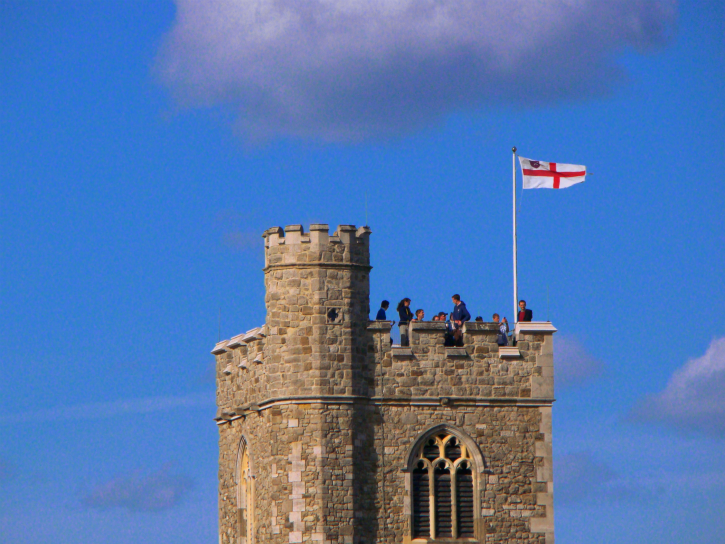 Some people even had a great vantage point, observing the proceedings from All Saints Church, Fulham. The conditions as mentioned above were somewhat challenging, and it took a while for the boats to be ready, but there were loud cheers as women’s race began. 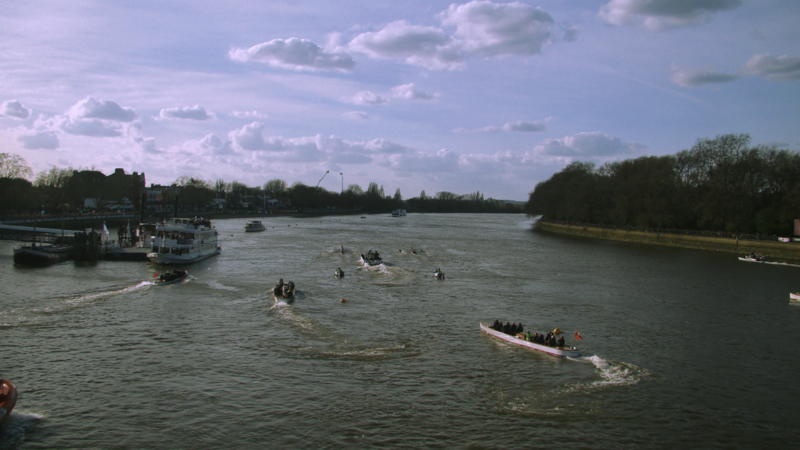 It did not take too long for the boats to appear smaller and smaller looking from Putney Bridge, as they approached and then rowed past Craven Cottage. About half an hour later, the men’s reserve boats were on their way, without the media coverage and the flotilla. Another half an hour, and it was the men’s race. For the aficionados of gif animation, I have posted a good example using 50 images on a separate page (click here).